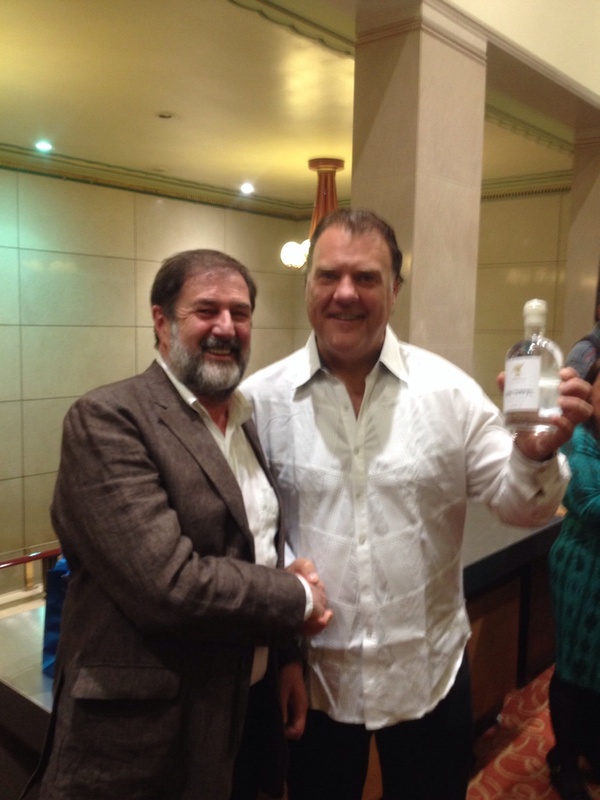 Here is the RLPO Artist-In-Residence, Bryn Terfel, receiving a gift from the Liverpool Organic Gin company joint owner, John O’Dowd. 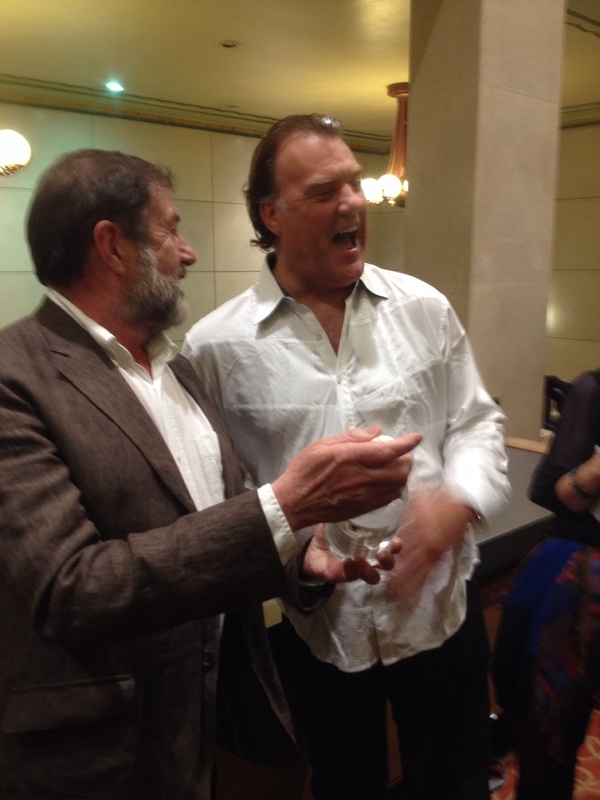 John is presenting opera mega-star Bryn with his specially named custom made bottle of Gyn Terfel. Don’t drink it all at once, Bryn! This entry was posted in About Brendan Ball and tagged 'RLPO', brewery, Bryn. Terfel, gin, liverpool, organic, royal liverpool philharmonic. Bookmark the permalink.